When I travel on business, I like to get up early and take a walk each day, varying my route to to see something different each morning. This approach really paid off during a recent trip to Zurich Switzerland. I was staying at Hotel Seehof near the Opera House and my office is in Enge. One morning, I walked along the lake and through Belvoirpark which was alive with color because of the stunning Iris Garden. I climbed further through Rieterpark (home to Museum Rieter). 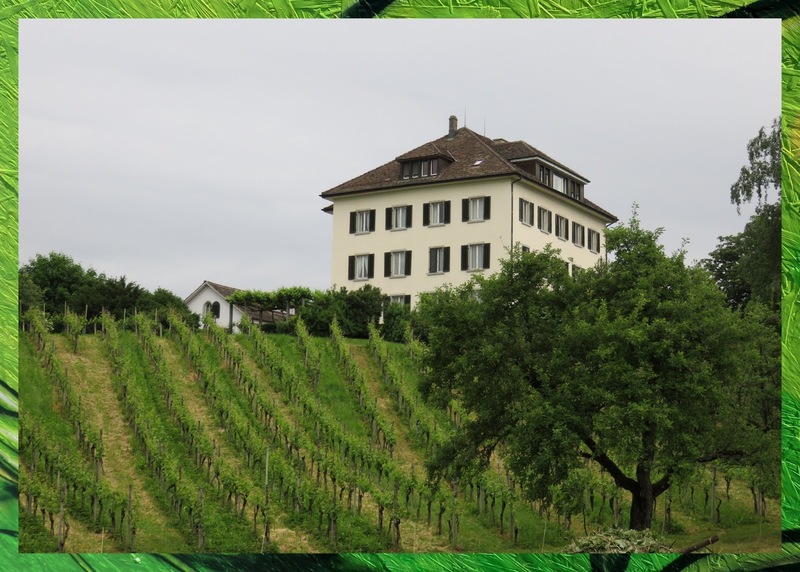 I emerged into a residential neighborhood less than a 10 minute walk from my office and was treated to sweeping views of an estate and vineyard. I soon heard a puzzling tinkling above my head. 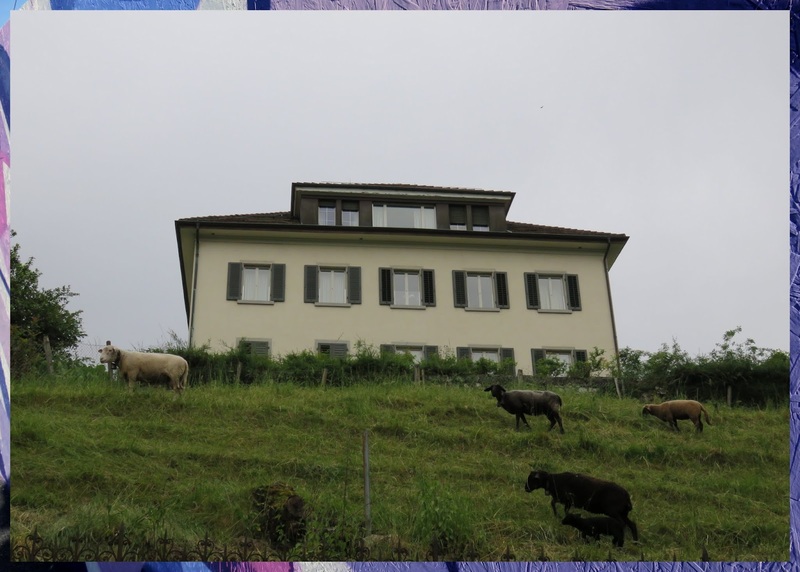 I looked up and saw...sheep! in the middle of Zurich! 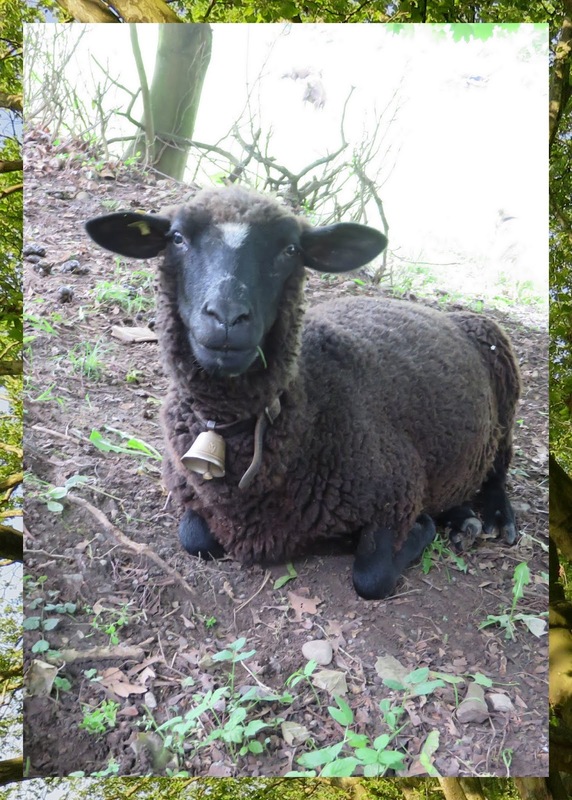 wearing cowbells for dramatic effect! 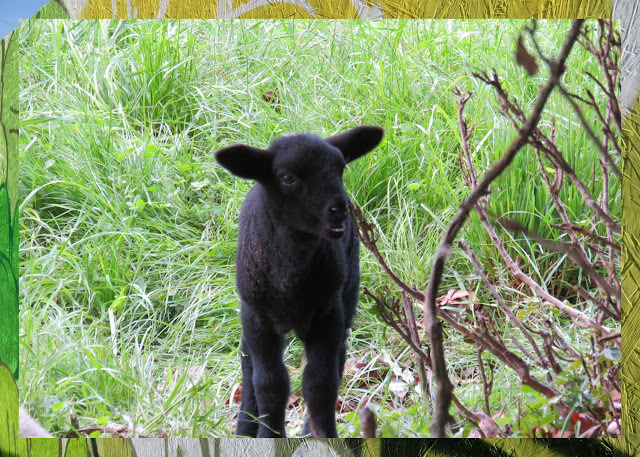 I stopped to admire the flock for a while including a young lamb still unsteady on its feet. Normally I vary my route each morning but this was such a fantastic find that I made sure to walk past Oberes Bürgli the next two days as well. 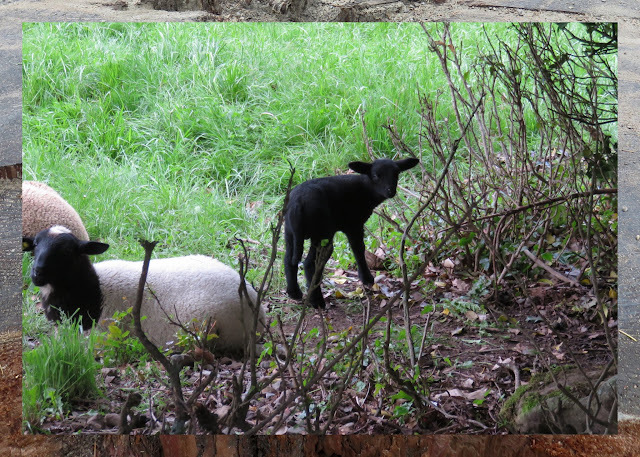 At first I didn't see the sheep again when I came but then I walked down a very small street on the side of the property and behold!... 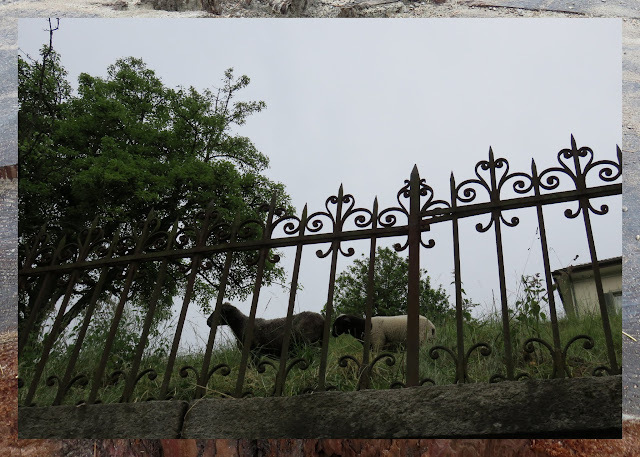 the sheep were sitting near the fence. Look at this face! I even managed to see the lamb close up. Adorable! Here's a map of the route I took that first morning stopping off at a few of Zurich's lovely parks before heading up the hill (it's a workout!) to Oberes Bürgli and the sheep of Zurich City. 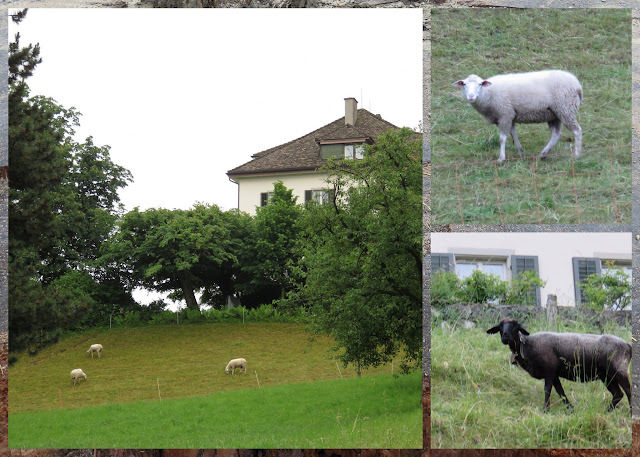 A business + leisure = bleisure walk to see sheep in Zurich, Switzerland.